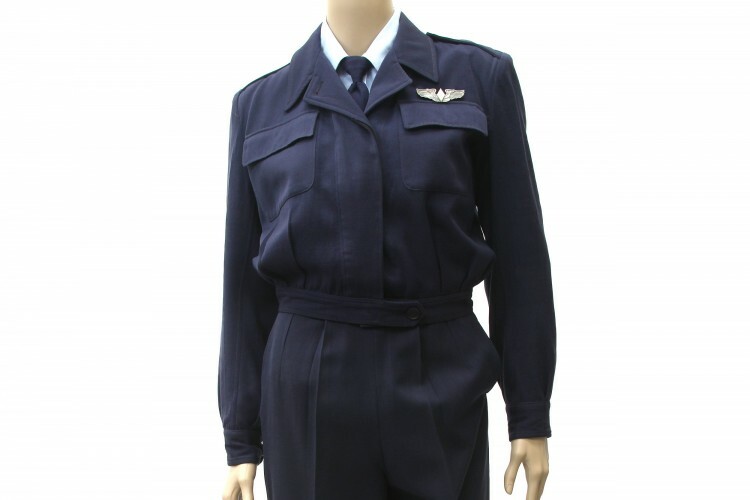 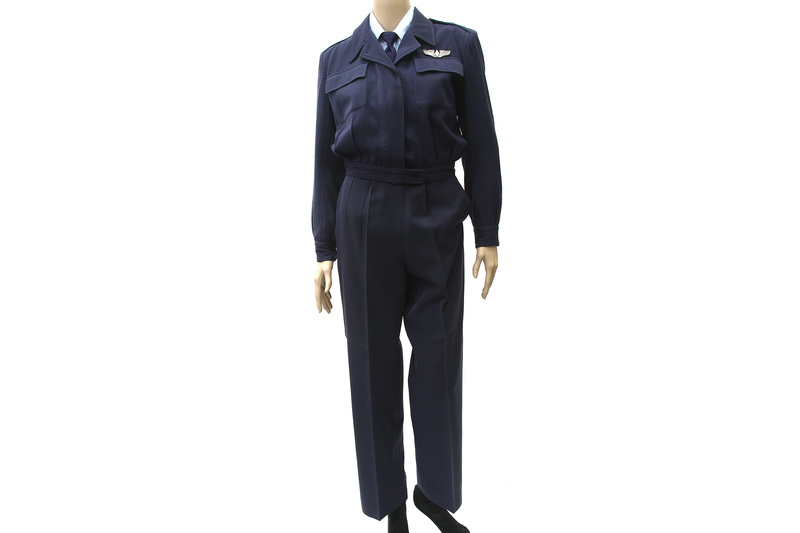 This short-waisted coat in Santiago blue wool and light blue shirt was one of the uniforms specially designed for the WASP. 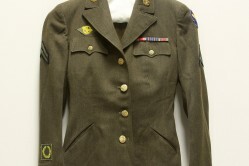 It was first issued on 11 February 1944. 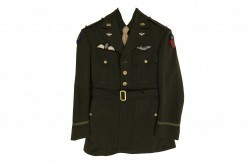 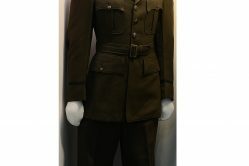 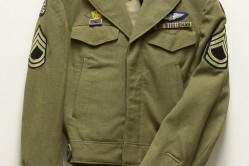 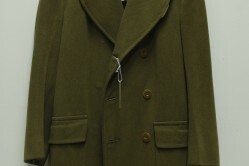 The coat was donated by WASP, Virginia “Scotty” Gough, Class 44-W-7.